The Erie County Fair Is Almost Here! Are you ready for the Erie County Fair? Starting tomorrow, August 12th, head out to the 10th largest fair in North America to enjoy all that this 12-day event has to offer. Through the hard work and dedication of all the volunteers, staff, and directors, the Erie County Fair has become one of the most looked forward to events of the summer. Tickets for the fair are just $7, with kids 12 and under getting in free. Tickets can be purchased at your local Tops Friendly Market by asking your cashier. You can also buy tickets at the gate for $10 a person. There is plenty to do at the fair to ensure that you will not be bored, even if you decide to head to the fair for the full 12 days. 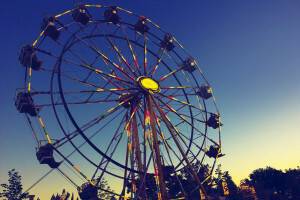 From midway rides and contests to agriculture highlights and free entertainment, people of all ages can enjoy the fair. There is also delicious food vendors throughout the fair, and will include the New Food Showdown where you can put your vote in to determine which dish is the best at the event. All of us at Robert J. Los Insurance Agency in Hamburg, New York would like to invite you and your family out to enjoy all that this exciting yearly event has to offer.